ATLANTA - Oct. 21, 2018 - PRLog -- Award-winning print and digital magazine outlet, The Hype Magazine (TheHypeMagazine.com) and the Universe Network (UniverseNetwork.TV), create a budding television powerhouse and announce a strategic partnership to create a new media superpower. The Hype TV reaches individuals that are influenced by music to create the next graffiti tag, record scratch, guitar riff, short Story or even feature film. They are the people that do not think inside the box but disregard "the box" altogether. The Hype TV is not a niche market outlet; its audience range includes fashion fans; gamers; movie nuts; MMA followers; EDM; rock and television personalities, etc. The Universe Network (UNTV) is a live streaming network that enables content providers to grow and expand their business both online and via its mobile application. By applying decades of business and entertainment experience, UNTV content providers are supported by a team of professionals with a common goal – the expansion and success of the Universe. 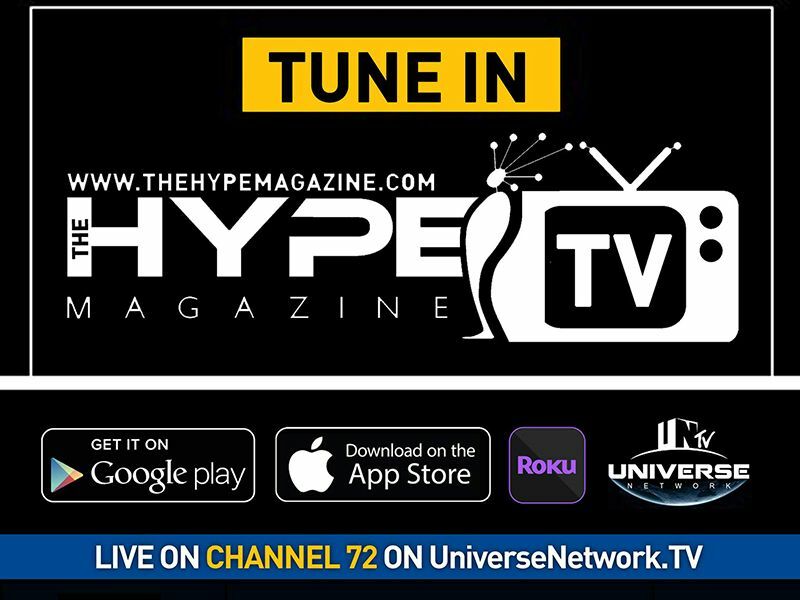 The Hype TV will reach true fans via live streaming on the Universe Network Channel 72, in addition to its online portal thehypemagazine.com and branded ROKU television channel. Featured daily highlights include special segments: Live Sessions (6 pm) Hype In The Streets (7 pm), and Hype Style (9 pm) on the 24hr streaming channel, (all times Eastern). Viewers may access The Hype TV via http://thehypetv.com or http://universenetwork.tv/channel/thehypemagazine. The channel is also available via the Universe Network TV App in the Apple and Android stores. The Universe Network's vast network within the music and entertainment industry provides privileged access to up to date news, music, and upcoming industry events, as well as future collaborations ranging from album releases to chart-topping hits. From artist management companies and community figureheads to legends of Hip-Hop and sports, the Universe Network has deep roots and years of cemented relationships that can only be garnered and leveraged from the "inside." The partnership includes co-branding between the magazine and the Universe Network, which is unique within the entertainment community; Efficiently beginning the reclamation process for news media as respected and effective journalistic platforms on a global scale. With the potential reach of 150 million households as its launch point, expert projections take this unified movement to the level of mega network status in short order. Dre Freeman, the Managing Partner of the Universe Network, indicates the partnership is "The new source for all things entertainment." The Hype Magazine CEO/Publisher Jameelah "Just Jay" Wilkerson says, "We are combining digital media, entertainment, and television to bring our coverage of 'News from Hip-Hop to Hollywood' directly to our audience in living color."